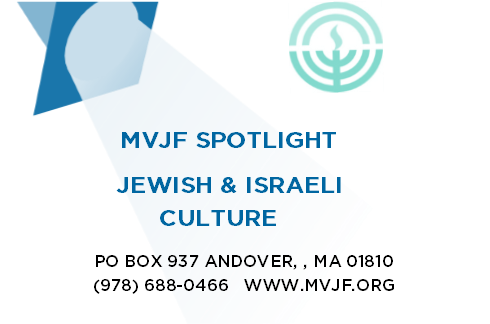 The MVJF is proud to introduce our Spotlight on Jewish and Israeli Culture. Through our own programming as well as partnerships with local congregations and organizations, we plan to augment and support that which is currently offered throughout the Merrimack Valley. 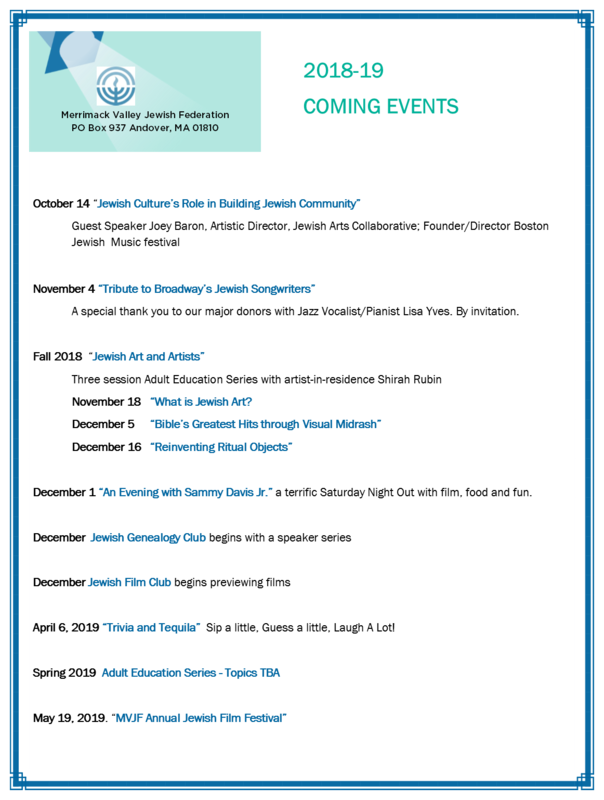 Our MVJF Spotlight will present the rich, diverse, and creative world of Jewish and Israeli culture with a variety of entertaining, social, and educational initiatives designed to reach the widest possible audience. We believe that Jewish and Israeli Culture is an expression of who we are and an exploration of who we can be. Our MVJF Spotlight will celebrate the polyphony of Jewish life and by creating opportunities for more connections, offer new pathways to a vibrant future. However, Spotlight will not flourish without you. Your support will help bring performers and educators to our community, underwrite programs that serve people of all ages, and develop efforts that engage the next generation of Jews and Jewish leaders. 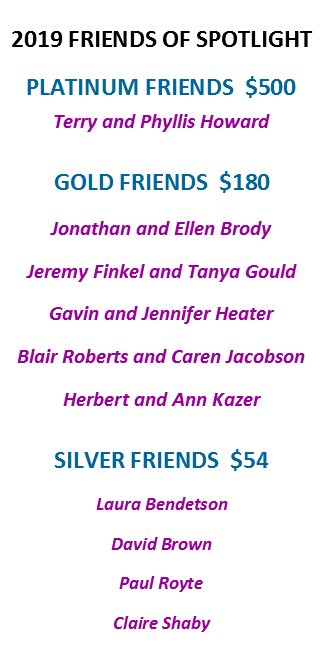 Please consider becoming a Friend of Spotlight in addition to your on-going support.